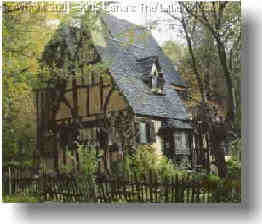 © 2001 - 2007 Lana's The Little House. All Rights Reserved. See Copyright Policy for permission policy. ♥ Handcrafted and Maintained with Love! June 21, 2018 - Our 15th Anniversary! Upon reservation you receive a reservation confirmation which includes directions. The physical address is kept a secret on purpose so your visit will be private and not commercialized! Think of an Occasion or Use! Over 100 Pages of Information on LLH web site! We would like to take this opportunity to thank you for your business and continued support. We are a boutique small business with an address kept secret, hidden on 21 acres in the woods and we continue to gain new tea lovers who enjoy The Little House. Our online tea store keeps gaining new tea junkies and we are thankful for the continued business of our regular tea lovers. As we embrace 2019, it is a year we celebrate our 16th Anniversary on June 21st. We look forward to sharing many gifts of thanks to all of our tea lovers from Cape Cod, MA to San Francisco, CA, from Duluth, MN to Key Largo, FL, from Anchorage, AK to Kilhei, HI, from Berlin to Bangkok and everywhere in between who visit us online and in person at the cottage. Got a question or comment about Lana's The Little House? Personalized Shopping at its Best! world class tea, black tea, green tea, yellow tea, loose tea, oolong tea, white tea, teapots, teaware, Amish rugs, scones and more!